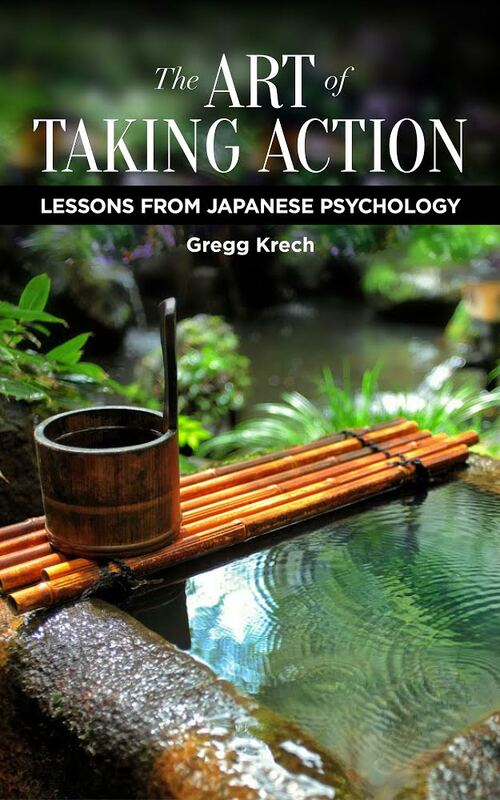 In our newest and most comprehensive online program, Gregg Krech teaches the basic skills of Japanese Psychology – Attention, Co-existing with Feelings, Acceptance and Self-reflection. c) an online discussion with the instructors and other participants from around the world. 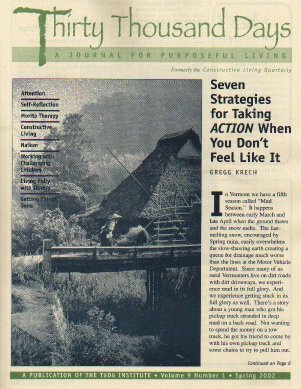 Together we will begin integrating Morita Therapy and Naikan into the challenges and goals of our everyday lives. You never know where this program might lead you -- please join us and find out! This program requires an average commitment of about 30 minutes per day, yet even such a limited amount of time can have a profound impact on our attitude, relationships and understanding of our life. You'll receive a model program with daily assignments/exercises, written support materials, and inclusion in a global community discussion. 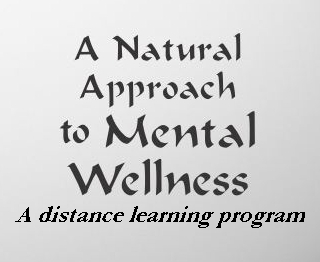 Participants in this year's program will receive a free* copy of either the paperback or Kindle ePub edition of A Natural Approach to Mental Wellness by Gregg Krech (ToDo Institute Press). All other materials will be available from within the classroom website. 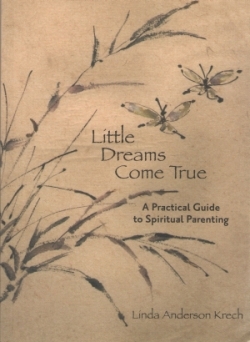 * Canada and all other international locations will incur shipping charges on the paperback book. However, for those of you that select the Kindle ePub edition there is no shipping charge. (Please note that you can get a free Kindle Cloud Reader that will allow you to access this book instantly —no Kindle device required. Q) Why does the shopping cart show free shipping on this item yet you're charging me shipping? A) Shopping carts aren't perfect, our program does not ship to you; however, the course book need to mailed. Owing to the exuberant cost to ship internationally we have to past on this cost, thus the drop-down choices. Thanks for your understanding. You have the option of participating in a special Internet discussion list which is open only to class participants and allows you to share your experiences, ideas and comments related to the theme of mental wellness. This discussion allows participants from around the world to get to know each other a bit, while simultaneously working through the month of A Natural Approach to Mental Wellness exercises. 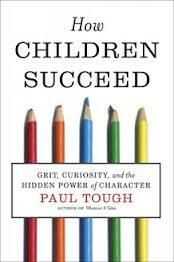 $10.00 Early Registration discount if registering 10 days before the start of the program. If discount doesn't appear in cart, we will manually correct before charging your card, and send you a confirmation. --You may select alumni pricing below, if you have taken this Mental Wellness program in the past. Alumnus will not receive a course materials in the mail, unless prior arrangements have been made to purchase a replacement.